Last Saturday, my olive shoots were in three diametrically opposed places geographically, emotionally and spiritually. My ministry minded middle was flying back to school following a two-week tour of the southwest with Moody Men’s Choir. Ike, my orange hair, freckle face guy was feeling like a ginger VIP hanging with the Chicago Bulls and his Aunt Lorri in the Windy City. Truly an event worthy of its own blog post. 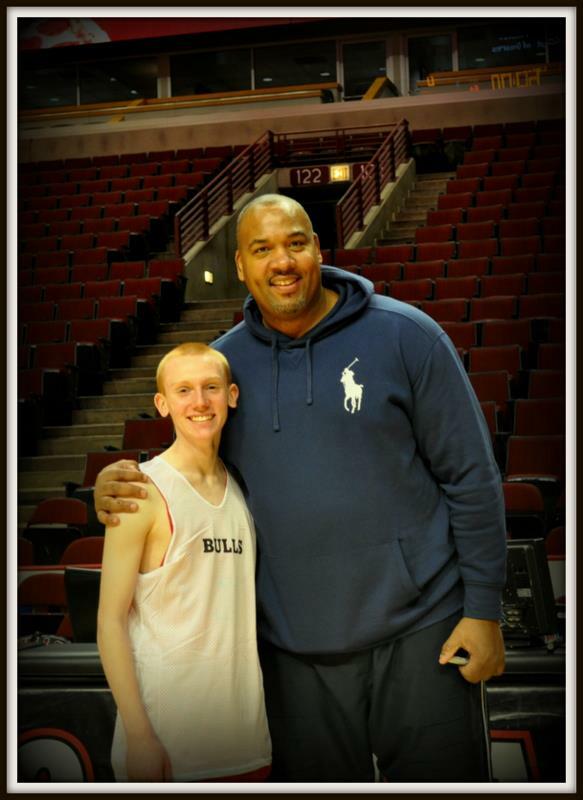 That’s just Ike and his new best friend, Stacey King, former Chicago Bulls player, nbd. And then bringing up the rear, far, far behind, was my Soldier. He called us from Georgia while on his way to Wal-Mart to make a most unusual purchase. Rat poison. Following a most enlightening conversation with our oldest OS, I proceeded to write him a letter, I mean, what else could I do? I’m sharing the contents of this letter with you should your child ever inform you s/he is on his/her way to buy rat poison. Yes, I do occasionally refer to him as Sugar Boy. Even if you do not identify with my children’s unique life situations, you will probably understand my mama’s heart. I ask a question at the end of this post and would love to hear from you. We just got off the phone with you and as I look upon my dirty house filled with a million projects, suddenly the most important thing I can do is write you. Having you as a son affords me many opportunities to pray. Having you as a son gives me an interesting life. Having you as a son means I laugh more, cry frequently, feel immensely proud while simultaneously feeling remarkably small and humble. Hearing you angry and discouraged makes me want to rescue you and beat all those jerks up! Have they not encountered a mother’s wrath? SERIOUSLY! Yet this is the life you have chosen. When others went easy, you deliberately picked the gritty and tough. You can do this. One day you will be astonished at what you did and see the manifold ways the LORD gave you the strength to persevere. Trust me learning your son was cuddled by a rat is quite odd. I incline my ear to the Lord and ask for what purpose is this happening? And then at that moment, I trust. 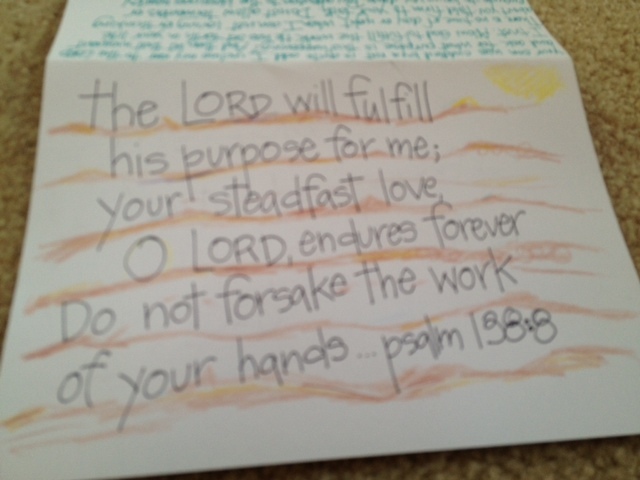 Allow God to fulfill the work He has set forth in your life. There is no time of day or night when I am not loving you or thinking about you. Hold firm to your faith. Do not allow tormenters or enemies to bring you down. Pay attention to the blessings nearby…that the rat scurried by and did not bite, that you have a sense of humor, that you are able to withstand more than most. Now I will go straighten up my messy house hoping to keep the rats away as well. Question: What has being a parent to your child afforded you? How has God used your children to mold and shape you as a person? Anne D., thank you for leaving a sweet comment! You did a great job and I so appreciate how you are so deliberate with your own mothering. As my boys have gotten older, I have learned, or should I say I’m learning that I need to affirm them when they say, “I’m a man” even though they will always be my boys. When Nate joined the Army, I became incapable of controlling certain things because the Army won’t let me! HA! Oh, how I wish I could sometimes as do many moms who want things to be a certain way. I look forward to seeing your family prosper and hopefully hearing from you on my blog again. You blessed me today! Cindy, you crack me up on a regular basis–even though I don’t really know you. My oldest child has taught me to look at people the way Jesus would have us look at them (most of the time that is). When I have a pre-conceived idea about someone, she just takes them at face value and treats them the way she would want to be treated (most of the time). 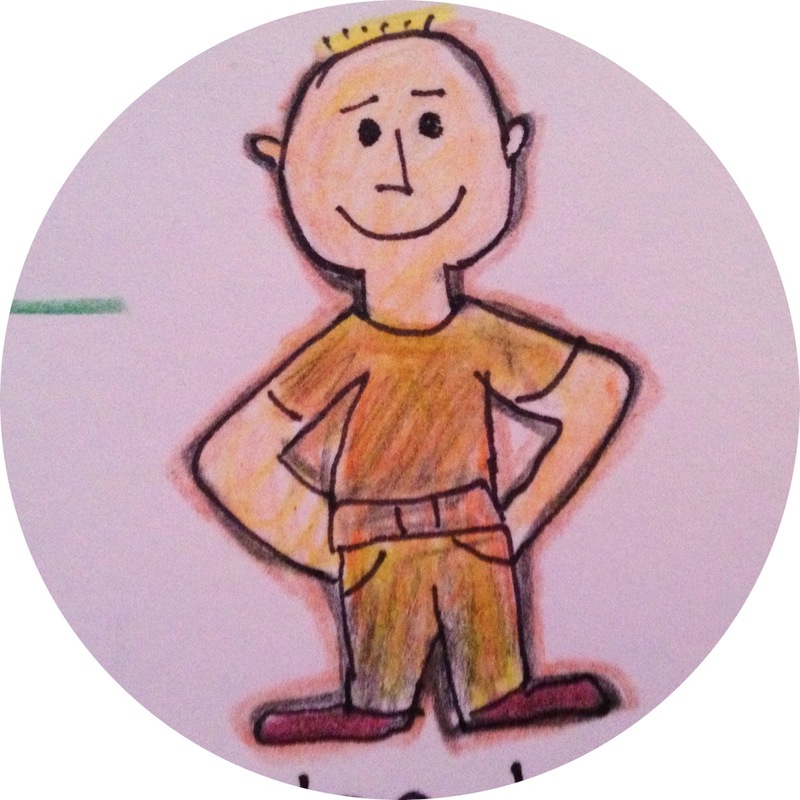 The man child–well, he’s taught me to think on my feet and not be conned by a cute face! It sounds like you have a pretty cool man child there! The Lord has given you a treasure. I’m always learning new things about God through my kids and each one of them brought me closer to Jesus. Thanks for your sweet words and I’m smiling just thinking about your oldest, so wonderful! Wow. Having sons makes me laugh, cry, and shake my head in wonder. What was God thinking when he gave them to me? Having those boys has forced me to pray and be humble while filled with embarrassing pride. They are humiliating and humbling, they are joy, sorrow and hope. Don’t know who God would have made me without them. They are all so different but olive shoots are all the same. Oh yes, Ellie! I so get what you are saying. It’s such a crazy mix of emotions and reactions! Olive shoots are treasures and we are a blessed bunch, aren’t we! Patience, patience, patience… I think having an autistic child makes you more tolerant and aware of people’s differences. Thank you Sandy! I want to hear more about your story and your precious child! We can learn so much from our kids and I pray they can do the same with us! Bless you! Oh, how funny… you know I’m working out that very question. God has used Henry to embolden me and put me in the place I’ve been looking for my whole life – my calling to write. Beyond being a mother, I always knew there was something else and I just didn’t know how to make it work. Little did I know that GOD would make it work in HIS time! And, like anyone else, God has used motherhood to humble me and open me up to the most intense sacrifices. Yes, the Lord has given you a beautiful voice and platform. I’m blessed to learn more about your journey, truly. Sandyfaithking, my son is autistic! I so enjoy your perspective! It’s refreshing to know that others sometimes struggle and through the challenges, God reveals amazing things to us about ourselves, our Savior and the plans He has for our lives. Truly your family’s story is breathtakingly lovely and anointed.